In September of 2004, I picked up my oldest son, Gabriel, who was almost four, from his first day at the Honolulu Waldorf School, and someone from the school told me I would need to get a cell phone. During the day, Gabriel had a meltdown, and they had tried to reach me, to no avail. I had been at a park with his younger brother, Isaiah, all day. I had never owned a cell phone and had never been apart from either of my children long enough to warrant having one. I dutifully invested in the latest flip technology, but after a few days, the school concluded that Gabriel was not ready for preschool. He was a proficient reader, but he was not fully toilet trained, and his separation anxiety was debilitating and disturbing to the other students. We resolved to keep him home, and it became a family joke that Gabriel must have been among very few children in history to get kicked out of a Waldorf preschool. Fast-forward a decade to last fall. Gabriel, nearly 14, was withdrawn from eighth grade at the Montessori school that he had attended for five years—he’d had two suspensions and was on the verge of expulsion for insubordination. Gabriel is a fiercely independent thinker, and his insistence on challenging authority could no longer be accommodated, so he would finish his eighth-grade year online at home. The intervening years were full of educational trial and error: attempts at home/unschooling, a year at a Hebrew day school, a year at a private Christian Montessori, and then the five at the Montessori community school. All this shuffling was in an effort to balance my aesthetic and pedagogical aspirations and ideals with our budget and Gabriel and his two brothers’ temperaments. Those years also included a 5,000-mile move from Honolulu to Charleston, South Carolina, and my separation from my three sons’ father when they were ages four, seven, and nine. That separation has been the greatest challenge to our family’s expectations and one that we might not replicate given the choice; yet I can’t help but believe it also has been the greatest of our many lessons in perseverance. As high school approached, our objectives remained similar: that Gabriel be safe and stimulated, challenged, and supported at school. We spent months investigating various high-school options, but in spite of his stellar test scores and academic performance, his disciplinary record prevented any potential boarding or magnet school from accepting him. By early August, the local public school became our only option. I believe in public schools in theory—the democratic aspects of them, the potential for cultural and socioeconomic diversity—but in practice, I have long been skeptical of worksheets, textbooks, and teaching to the test, especially here in South Carolina, where schools rank somewhere around 45th among the 50 states in the nation. I attended public schools until eighth grade and then enrolled in a boarding school for the arts for high school, where I encountered works of art and literature and mentors and friends that affected my life in innumerable ways. On some level, I’ve always hoped for a similar experience for my children. But if I’ve learned one thing from being a Solo Mom, it is the necessity of accepting situations, choices, and realities that defy our hopes and expectations. The lives of our children and the paths they take are no exception. And so it was that Gabriel and I found ourselves in the auditorium and gymnasium of the local public high school at an open house and pep rally on the eve of the first day of school. Among the 1,800 students and their families, we knew not a soul, but rather than respond with apprehension, Gabriel simply took it all in. A month later, he continues to take this new reality in and in stride. He has risen to the challenge of rising shortly after 5:00 a.m., is navigating the school’s labyrinthine halls, and—miracle of miracles—has been thriving amid the structure his earlier educational experiences lacked. It’s early yet, but so far he is demonstrating a capacity for adaptation and equanimity that mean more to me than any academic or artistic achievement ever could. It is my suspicion that the reconfiguration of our family and the other challenges we’ve faced, individually and together, however difficult in the moment, have made Gabriel’s adaptation to his new school possible and even relatively seamless. By learning to surf in the tsunami of separation, the occasional riptide of something such as adjusting to public high school seems incidental by comparison—and it feels empowering for both of us. We’ve weathered many storms since the Honolulu Waldorf School, and so we’ll be able to weather this one, too. 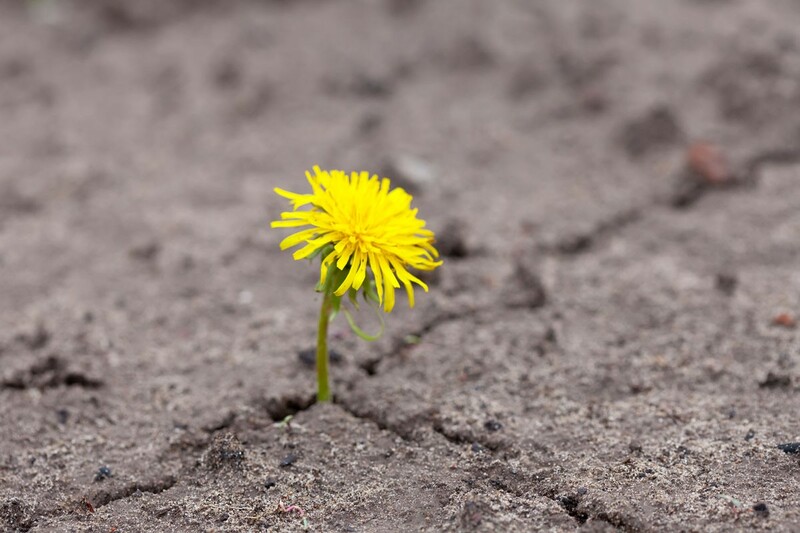 Resilience is a skill forged under pressures we might never choose, but it renders us stronger than we’d ever expect. Brit Washburn is a writer, editor, and vegan cook, who teaches and practices yoga in Charleston, South Carolina, where she lives with her three sons and a daughter on the way. Her blog can be found at www.theoryandpracticeofbeing.wordpress.com.